Mast cells are immune cells (a type of white blood cell) that reside in many tissues throughout the body. Dogs have many of these mast cells in their skin. Mast cells contain granules, or packets of chemicals, such as histamine, serotonin and heparin. The primary function of the mast cells is to respond to inflammation and allergies by releasing these biochemicals when triggered by the immune system. Mast cell tumours in dogs, also called MCTs, mastocytomas, or mast cell sarcomas, are the most common type of dog skin cancers, accounting for around eleven percent of skin cancer in dogs, according to a 2011 study. Mast cell tumours in dogs form when the mast cells proliferate uncontrollably and accumulate in clusters, usually in the form of skin lumps. These dog tumours often appear small and insignificant, and many are benign, but they can be very serious and even life threatening. Mast cell tumours, or mastocytomas, release large amounts of biochemicals from the mast cells into the body, which can cause significant problems such as increased stomach acidy and gastric ulcers, internal bleeding and various allergic reactions. The effect of mast cell tumours in dogs means a decrease in the quality of life for many canine sufferers. Apart from the skin, mast cell tumours can also occur in other tissues, including the spleen, liver, bone marrow, intestines and respiratory and gastrointestinal tracts. Around fifty percent of mast cell tumours are malignant; without treatment of this particular dog cancer they will progressively worsen and result ultimately in death. Mast cell tumours in dogs are extremely variable in their location, appearance, and growth pattern. 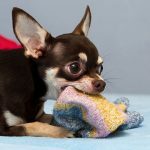 In some dogs, the tumour or lump is not obvious or even visible, and there may be few, if any, observable symptoms to indicate that the animal has developed a mast cell tumour. Many affected dogs show no signs of illness or discomfort. How are mast cell tumours diagnosed? Often the first indication of a mast cell tumour is the discovery of a lump on or under the dog’s skin. As any lump may be abnormal and even cancerous, you should immediately take your dog to the vet for examination. Where there are no lumps or obvious symptoms, mast cell dog tumours may be discovered incidentally during a routine veterinary examination. Preliminary biopsy – Because mast cell tumours in dogs can appear in many shapes, sizes and locations and many of the symptoms can be associated with other conditions, a biopsy (or fine needle aspiration) is usually performed so that the tissue sample can be examined through a microscope. Surgical tissue biopsy – after it has been removed, the mast cell dog tumour is examined for classification and grading of the cells and identifying the stage of the disease. This is necessary for determining treatment and prognosis. About 50% of mast cell tumours in dogs are malignant, meaning that if left untreated they will usually spread to other parts of the body, such as the spleen, liver, lymph nodes and bone marrow, and result ultimately in death. The prognosis for dogs with a mast cell tumour depends on the grade and stage of the tumour at the time of diagnosis, with those staged/graded 1 to 2 usually having a high rate of success. However, tumours of higher grade and stage, tumours that have spread to other parts of the body and those that have formed in areas other than the skin, generally have a much poorer prognosis, depending on how well they respond to chemotherapy and radiation treatments. More than 15% of dogs diagnosed with a mast cell tumour will develop further mast cell tumours in their lifetime. Therefore it is essential to undertake regular inspections of your dog’s skin for any signs of new tumours for the rest of its life. Each case of mast cell tumour is individually evaluated and treated, depending on the diagnosed grade (the degree of malignancy) and stage (the likelihood of spread). The vet’s treatment preferences will also play a role. The prognosis depends on the grade and stage of the disease at the time of diagnosis, as well as the dog’s response to the selected treatments. 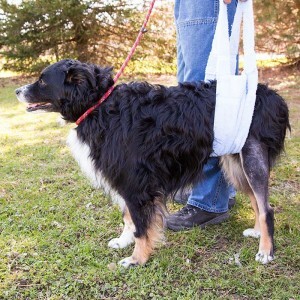 Depending on the size and location of the dog tumour, treatment usually requires surgical removal, which may be followed by chemotherapy, radiation and / or steroids. 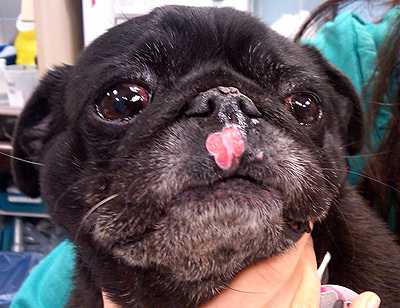 The primary treatment for dogs with mast cell tumours is surgical removal. It is important that the tumour is carefully removed and a large area of ‘healthy’ tissue around the tumour is also removed. It is often difficult to determine exactly where the tumour begins and healthy tissue starts, so a wide margin (a large portion of healthy tissue surrounding the tumour) is removed to ensure that all cancerous tissue at the site is eliminated. Nearby lymph nodes are also generally removed, because they are the first place where the mast cell tumour spreads. Further treatment may not be required. Surgery is performed to remove as much of the tumour and margins as possible, followed by radiation, chemotherapy and / or immunotherapy and in some cases, further surgery to remove more tissue. Grade 3 tumours are invariably malignant and after surgical removal there is a high chance of regrowth and of spreading to lymph nodes, internal organs and even bone marrow. Aggressive surgical removal of the tumour and affected lymph nodes and any other affected organs is required, followed by other treatments. If there is a generalised spread or metastasis of the tumour cells to other parts of the body, surgery may have minimal benefit. A combination of these drugs may be prescribed where multimodality therapy is indicated, usually where there are high grade mast cell tumours or metastasis to nearby lymph nodes or beyond. Mast cells are found in large quantities in a dog’s skin. Mast cell tumours, the most common type of dog skin cancers, often appear as isolated lumps on the skin, but can present in many different locations and vary widely in appearance and growth patterns. While many are benign, around 50% are cancerous and can spread to other locations, which can be fatal. It is difficult to detect mast cell tumours visually, therefore it is essential to have any lumps or bumps examined by the vet and diagnostically tested. 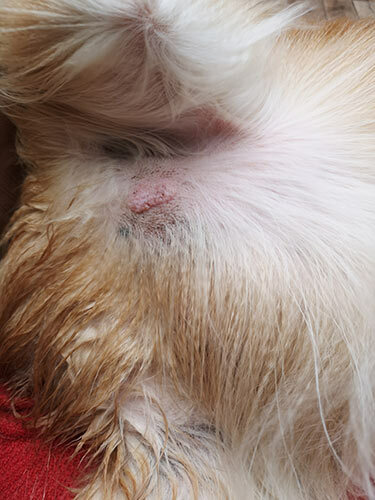 If found to be a mast cell tumour, treatment for this dog skin cancer is likely to consist of surgical removal, radiation and / or chemotherapy and / or systemic therapies. Treating mast cell tumours when they are small and localised has a high rate of success. However, tumours of higher grade and stage generally have a much poorer prognosis, depending largely on the nature and extent of the metastasis and how they respond to chemotherapy and radiation treatments.